Stephen E. Ambrose wrote the following about the book. "How did they do it? is Eisenhower's question. How did they go in one year from almost no army at all to one taking its place on the Western Front? How did they train these millions of men, equip them, transport them, deploy them, supply them? 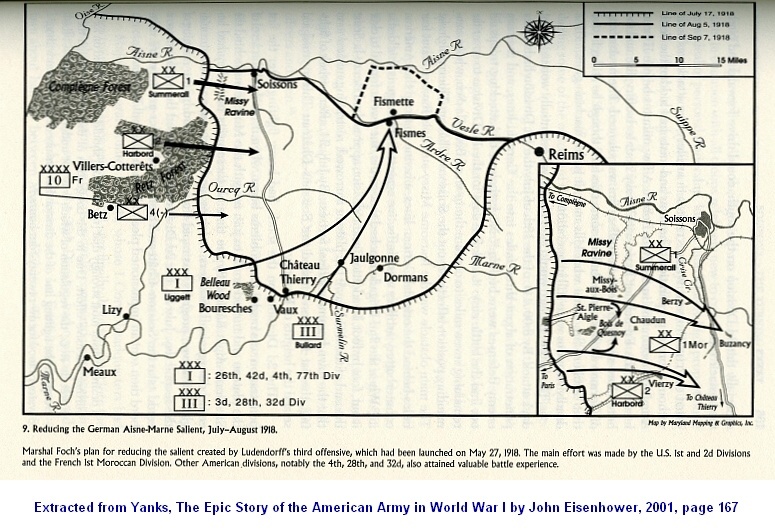 When John Eisenhower describes General Pershing and his staff on the ship taking his first contingent of Americans to France, he makes you feel you were there -- most of all wondering, as Pershing did, how all this was going to work. Finding out is what makes this such an enjoyable read." The Presidio Press, Inc., 2001. The manuscript was written in the late 1920s and found its way to a special collection of American History at the University of Texas, Austin, where it was recently discovered by Marine Corps historian George B. Clark. 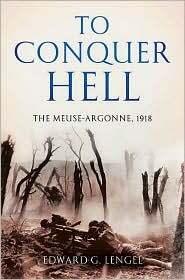 His Time in Hell is an extremely valuable memoir of a World War I Marine. In addition to providing a wealth of detail about enlisted service of that period, the reader will find that Jackson's normal human strengths and weaknesses shine through on every page. He saw his share of combat. He writes his account in a self-deprecating, nonheroic tone. How do you tell the history of a war in which more than nine milion combatants and nearly seven million civilians across the world died by buller, fire, hunger, and disease? How do you describe the experience of a war that ignited two revolutions, brought down four monarchies, scarred a generation and colminated in major political and territorial changes that cast shadows to this day. Departing from traditional histories, Intimate Voices from the First World War tells that story of the First World War entirely through the diaries and letters of its combatants, eyewitnesses, and victims. The book starts with the testimony of a Serbian teenager, one of the Archduke Franz Ferdinand's assassins. Each chapter focuses on one important episode of the war told from opposite sides of the conflict. The diaries and letters featured were uncovered during extensive research across twenty-eight countries for the groundbreaking television series The First World War, based on the work of Professor Hew Strachan, whose introduction starts this book. The final hours pulsate with tension as every man in the trenches hopes to escape the melancholy indistinction of being the last to die in the World War I. The Allied Generals knew the fighting would end precisely at 11:00 A.M., yet in the final hours they flung men against an already beaten Germany. The result? Eleven thousand casualties suffered -- more than during the D-Day invasion of Normandy. Persico sets the last day of the war in historic context with a gripping reprise of all that let up to it, from the 1914 assassination of the Austrian archduke, Franz Ferdinand, which ignited the war, to the raw racism black doughboys endured except when ordered to advance and die in the war's final hour. Although written several years ago, the following book is also well worth reading. 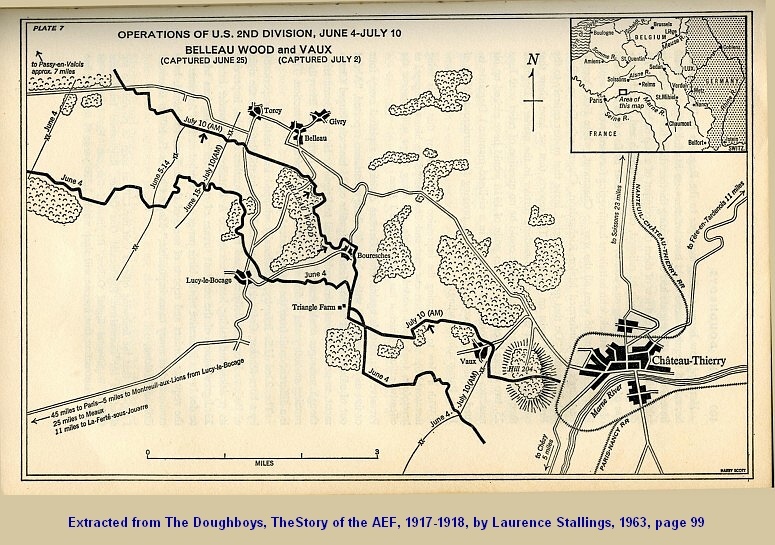 The story of the Doughboys of the American Expeditionary Force (AEF) who went to France in 1917-1918 to "make the world safe for democracy" is one of the great untold epics of American history. This stirring account by Laurence Stallings, who served as a combat officier on the Western Front, is the climax of a lifetime of memories and three years of research and writing. This recently published book on the last battle of World War I is a very good read. Compiled from primary source material -- including previously unpublished diaries and letters -- the book is by turns grim, inspiring, and shocking in its frank depictions of battle. However, it's the lesser-known doughboy who takes center stage in To Conquer Hell -- people like 13-year-old Ernest Wrentmore, the youngest soldier in the American Expeditionary Force, who saw things no child should ever have to see and who later recounted, "To become emotional over the loss of a friend, buddy, or comrade would be to lose complete control. You had to become a piece of wood, or you'd never make it." 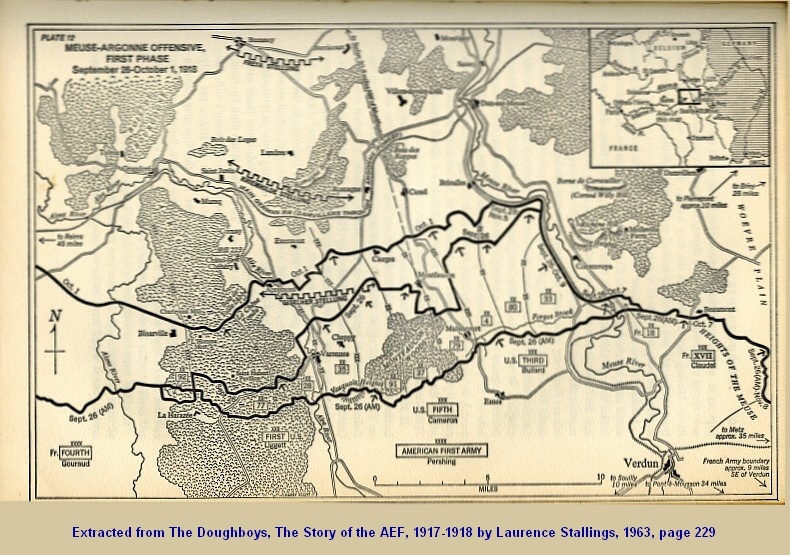 The following maps of campaigns in which the American Expeditionary Force (AEF) participated were extracted from Stallings's The Doughboys, The Story of the AEF, 1917-1918 and from Eisenhower's Yanks, The Epic Story of the American Army in World War I and provide a visual view of where our veterans were in 1918. 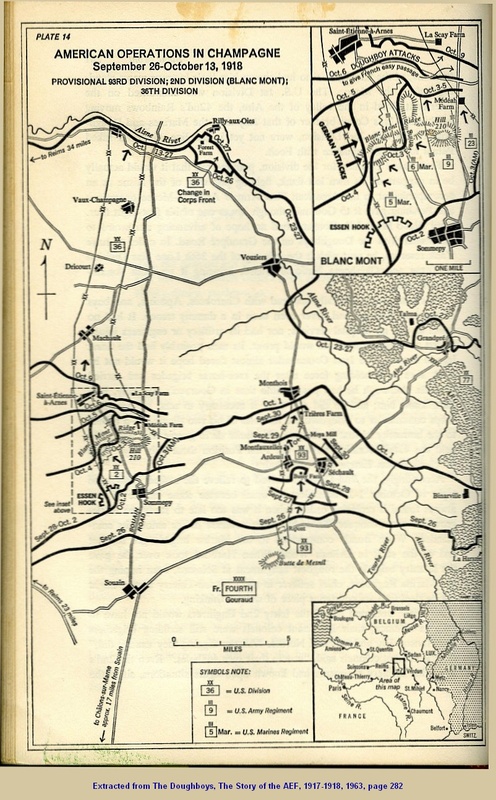 Operations of the 2nd Division between June 4 and July 10, 1918 at Belleau Wood (Bois de Belleau) also shows the location of Château-Thierry. Operations in the Aisne-Marne salient in July and August, 1918. 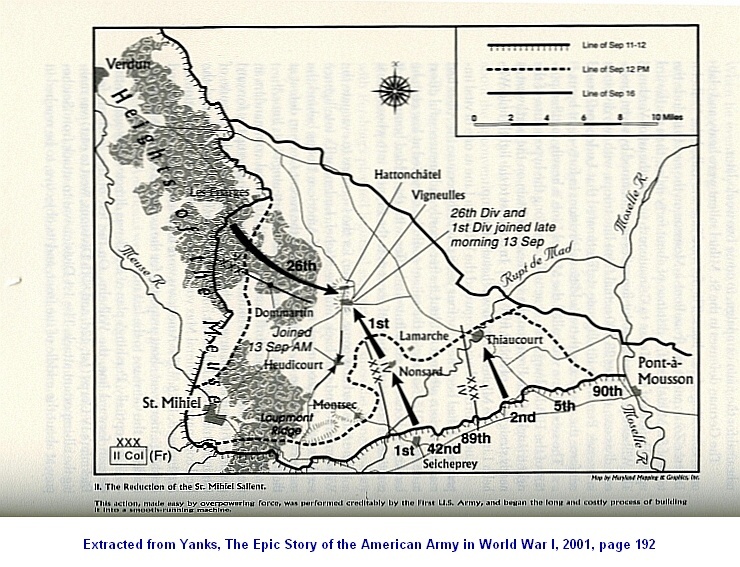 American First Army Offensive at St-Mihiel on September 12 to 15, 1918 as depicted by Laurence Stallings and by John Eisenhower in Yanks. American Operations in Champagne between September 26 and October 18, 1918. 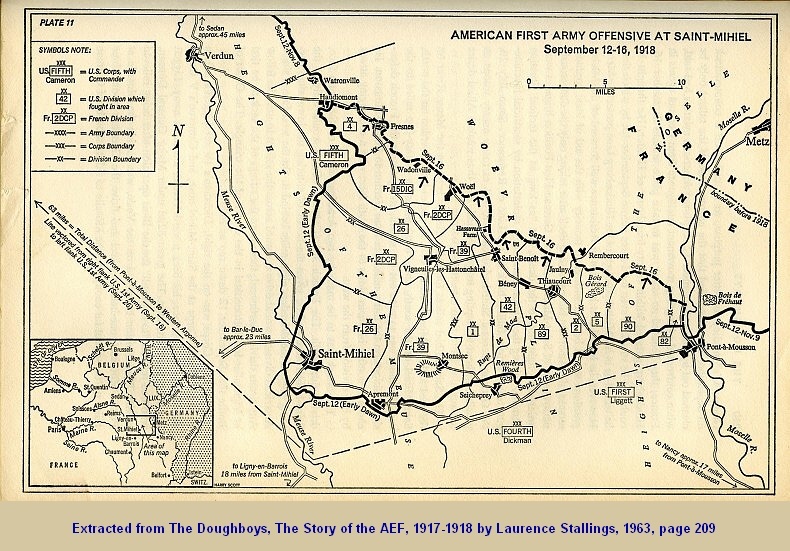 The first phase of the Meuse-Argonne Offensive between September 25 and October 1, 1918 and a detail map by John Eisenhower in Yanks. 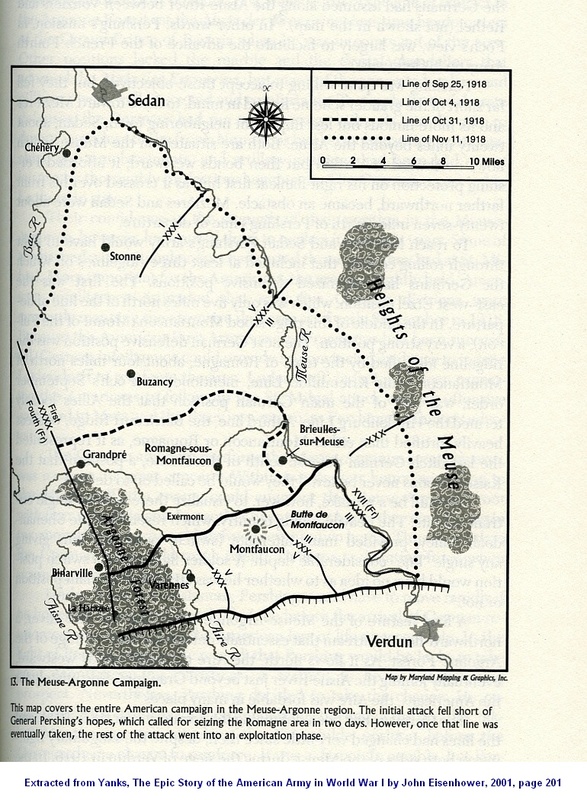 The maps for the second and third phase of the Meuse-Argonne offensive are missing from the book I have.